You’ve likely heard about Chase’s credit card options. Some of its cards are so popular they’ve made headlines and developed cult followings. Chase is one of the largest credit card issuers in the U.S., with 92 million Chase credit cards and $6.5 billion in purchase transactions in 2016, according to the Nilson Report. Chase is largely popular because of its rewards credit cards. Its cash-back cards and travel rewards cards offer great benefits with some additional helpful perks thrown in. Here are some of the most popular Chase credit cards to help you figure out if they’re right for you. In the market for a Chase credit card that will give you a great signup bonus and generous cash back on everyday purchases? If so, consider the Chase Freedom Unlimited credit card. This card offers a $150 bonus if you spend $500 in the first three months after you open the account. You can also earn unlimited 1.5 percent cash back on everyday purchases. There is no minimum for you to redeem that cash back, so you don’t have to wait until you have a certain amount of points to get your money – unlike other cards. The card offers a zero-percent introductory interest rate on both regular purchases and balance transfers. After that period expires, cardholders pay between 16.24 percent and 24.99 percent APR on an existing balance. There is also a 26.24 percent APR for cash advances. One great thing about the card is that there is no annual fee. But there is a 5 percent fee for balance transfers, a 5 percent fee for cash advances, and a 3 percent foreign transaction fee. This card offers solid rewards for a cash back card without an annual fee. Since you earn the same amount on all your purchases, it can be a good fit for people who don’t spend a significant amount of money in areas that typically are given bonus points. 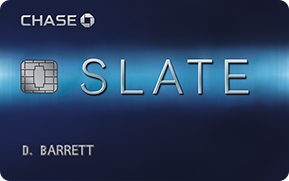 If you’re looking for a balance transfer card with a low introductory rate, the Chase Slate credit card might be a good option for you. The card allows cardholders to transfer balances during the first 60 days for a 1 percent balance transfer fee. It also provides a zero-percent introductory rate on both regular purchases and balance transfers. The APR on the card after the introductory period is over starts between 16.24 percent and 24.99 percent, depending on your credit. There is also a 26.24 percent cash advance APR. The card has no annual fee but charges 5 percent on cash advances, and 3 percent on foreign transactions. After the introductory rate on balance transfer fees, the balance transfer fee goes up to 5 percent. Some additional benefits of the card include a free FICO score. This can be important feedback for people who are trying to build or rebuild their credit. The card also does not have a penalty APR, which means that paying your bill late one month won’t cause your rate to skyrocket. Altogether, this card might be a good option for people who are looking to transfer balances to a new card with a zero-percent introductory interest rate. Since most other cards charge between 3 percent and 5 percent as a balance transfer fee, if you use this card and transfer your balance right away, you can save money. Want a Chase credit card that gives you great rewards and also offers a zero-percent introductory rate? The Chase Freedom credit card provides you with the best of both worlds. It starts with a $150 signup bonus when you spend $500 within the first three months of getting your card. The card also offers up to 5 percent cash back on certain quarterly categories – for the first $1,500 you spend in that category. For example, the cash-back spending categories from January to March 2018 included purchases at gas stations, and on internet, cable, and phone services, plus the use of Chase Pay, Android Pay, Apple Pay, or Samsung Pay. Each quarter has different bonus categories. You earn 1 percent cash back on all your other purchases. The card offers a zero-percent introductory rate on the first 15 months on balance transfers and regular purchases. After that, the APR starts between 16.24 percent and 24.99 percent. How much you can be charged depends on your personal financial and credit situation. The card also has a 26.24 percent cash advance APR. There is no annual membership fee, but there are fees related to transactions such as 5 percent on balance transfers and cash advances and 3 percent on foreign transactions. This card might be a good option if you’re looking for the best of both worlds – a rewards credit card that also offers a zero-percent interest rate. 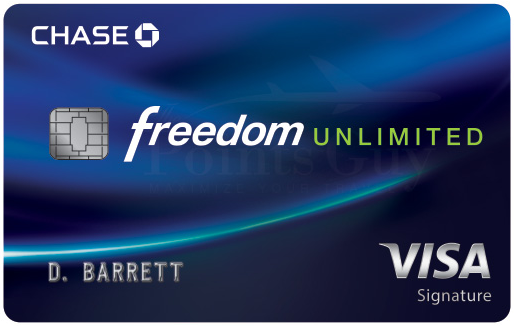 However, whether you will earn more rewards with this card versus the Chase Freedom Unlimited card will depend on what you spend the majority of your money on. You might earn more getting 1.5 percent back on all purchases rather than 1 percent back on most purchases and 5 percent back on certain items. While you’ve likely heard about the Chase Sapphire Card, the one that made the headlines was the more expensive Chase Sapphire Reserve card – not this one. Still, the Chase Sapphire Preferred credit card offers some great perks. For example, you can earn 60,000 in bonus points if you spend $4,000 in the first three months after getting your card. That equals $750 toward travel when you redeem it through Chase Ultimate Rewards. The card provides you with two points for every dollar spent on travel and dining, and one point per dollar spent on everyday purchases. It also provides you with 25 percent more buying power when you redeem your points for travel through the Chase Ultimate Rewards program. You can book airfare, cruises, hotels, and car rentals. The card has no introductory interest rate and instead charges between 17.24 percent and 24.24 percent APR. There is also a 26.24 percent cash advance APR. The card has a membership fee of $95 and charges 5 percent for balance transfers and cash advances. It does not charge foreign transaction fees. 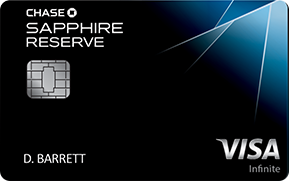 Ultimately, the Chase Sapphire Preferred card offers a great signup bonus and good benefits. Although it does have an annual fee, the signup bonus might just make up for the costs. The Chase Sapphire Reserve credit card was so popular after it launched that they ran out of cards to print and were back-ordered. Luckily, Chase has caught up with demand and there’s no longer a wait to get your card. What makes it so attractive to cardholders? For one, it offers 50,000 bonus points if you spend $4,000 in the first three months. That’s around $750 toward travel if you redeem it through Chase Ultimate Rewards. In addition, you get a $300 travel credit every year that can be redeemed for travel purchases. With this card, you will earn three times the points when you use it at restaurants or for travel purchases like airfare and hotels. You earn one point for every dollar you spend on everyday purchases. The card doesn’t have an introductory interest rate. Its rate starts between 17.24 percent and 24.24 percent APR. The card charges a cash advance APR of 26.24 percent. The card is also known for its expensive annual fee of $450. If you want to add an additional user, you can do so for an extra $75 per year. It charges 5 percent for balance transfers and cash advances. It does not have a foreign transaction fee. There are some special benefits from the card, including getting 50 percent more buying power when you use it to buy travel through Chase Ultimate Rewards. This is why your rewards points have more buying power than those from the Chase Sapphire Preferred Card. You also get access to airport lounges with your card, special rental privileges at certain car rental companies, special benefits at certain hotels such as room upgrades and early check-ins, and access to a 24/7 concierge. In addition, you get up to $100 every four years to pay the application fee on a Global Entry or TSA PreCheck card. Benefits include trip cancellation and interruption insurance of up to $10,000 per trip, auto rental collision and damage coverage of up to $75,000, lost luggage reimbursement, trip delay reimbursement, and emergency evacuation or transportation due to illness. Cardholders get purchase protection to cover new purchases against damage and theft for 120 days after purchase, return protection to get reimbursed for items if the store won’t take it back within 90 days of purchase, and extended warranty protection to extend warranties on items purchased with the card. The Chase Sapphire Reserve card has an expensive annual fee, but it offers valuable benefits, especially if you’re a frequent traveler. 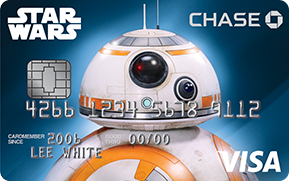 The Disney Premier Visa Card is one of Chase’s many partner cards. Unlike some partner cards which offer few perks, the Disney Premier Visa offers some great benefits. For example, as a signup bonus, you get a $200 credit if you spend $500 on purchases in the first three months you have the card. Cardmembers can earn great rewards. The card offers 2 percent back on things like groceries, restaurants, gas, and most Disney locations. It also offers 1 percent back on everyday purchases. It doesn’t have a low introductory interest rate on regular purchases, but it does have a zero-percent interest rate for the first six months if you use your card to buy Disney vacation packages or if you purchase a real estate interest in a Disney Vacation Club resort. Otherwise, the card does offer a 17.24 percent APR on purchases and balance transfers, and a 26.24 percent APR on cash advances. The card has a membership fee of $49 per year and charges 3 percent on balance transfers, cash advances, and foreign transactions. You can also get some cool Disney perks through the card, such as 10 percent savings on select purchases for Disney or Star Wars items at the Disney Store or online. Another perk: 10 percent off merchandise purchases of over $50 at Disneyland and Walt Disney World Resorts. You can get exclusive Disney or Star Wars photo experiences when you go to Disney resorts, 10 percent off certain dining locations, and 15 percent off guided tours at Disney parks. Another benefit that Disney lovers will enjoy: You can choose from 10 card designs with different characters. Ultimately, the Disney Premier Visa Card might be a good option for people who love Disney and visit the parks often. But the rewards points can be quite generous even if you don’t travel to Disney parks often. If you’re one of the millions of people who buy toilet paper, books, electronics, and spices from this online superstore, then you might have considered getting an Amazon Rewards Visa Signature Card. Should you get one? Here’s a breakdown the benefits. 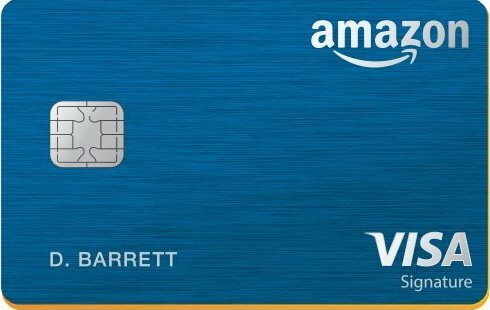 You can get a $50 Amazon.com gift card as soon as your Chase credit card application is approved. The card also gives you 3 percent back on all purchases you make on Amazon.com, and 2 percent back on purchases at gas stations, drug stores, and restaurants. You can earn 1 percent back on other purchases. You can save even more if you are an Amazon Prime member since you can earn 5 percent back on your Amazon purchases and a $70 Amazon.com gift card as a signup bonus. The card has no introductory interest rate, but the interest rate starts between 15.9 percent and 23.49 percent APR on balance transfers and purchases. The APR for cash advances is 26.24 percent. The card has no annual fee, but it does charge 5 percent on balance transfers and cash advances. However, there is no foreign transactions fee. Ultimately, the card is comparable to other similar rewards cards, but it offers some nice bonuses if you’re a frequent shopper on Amazon.com. For that reason, it might be a good deal if you’re always buying things online. If you’re looking for a great Chase credit card for your small business, the Chase Ink Business Preferred credit card might be a good option. The card offers a whopping 80,000 bonus points if you spend $5,000 on purchases within the first three months of opening the card. That adds up to $1,000 worth of travel rewards when redeemed through Chase Ultimate Rewards. You can earn considerable rewards with this card – as much as three points for every dollar spent on things like travel, shipping, internet, cable, phone services, and advertising on social media and search engines. You earn one point for every $1 spent on everyday purchases. The card has no introductory interest rate but carries a 17.24 percent to 22.24 percent variable APR. The card has a 26.24 percent cash advance APR and has a 29.99 percent penalty rate APR, which can kick in if you miss a payment or if your payment is returned to you. The penalty rate can apply indefinitely. The card has a $95 annual fee. It also has a 5 percent fee on balance transfers and cash advances but has no fee for foreign transactions. Some additional benefits of the card include a 25 percent bonus when you redeem your points on Chase Ultimate Rewards for things like cruises, car rentals, hotels, and flights. You can also get many other perks such as trip cancellation and interruption insurance of up to $5,000 in case of sickness, severe weather, and other situations, plus roadside assistance, and auto rental collision and damage coverage. In addition, the card offers a cellphone protection plan that covers you and your employees for up to $600 if your phones are damaged or stolen. It also offers purchase protection of up to $10,000 per claim and $50,000 per account if purchases are damaged or stolen within 120 days of purchase, plus extended warranty protection. Ultimately, this card might be a good option for a small business owner who is looking for a credit card with all the perks. 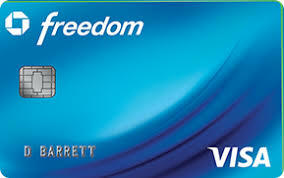 The card has a $95 annual fee, but it also offers great bonuses for using and signing up for the card. 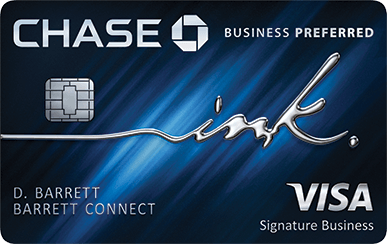 The Chase Ink Business Cash credit card offers considerable cash back benefits on business purchases. You can get a $300 sign up bonus if you spend $3,000 on purchases within three months of opening the account. The card offers 5 percent cash back on the first $25,000 spent on items at office supply stores, plus on phone, cable, and internet charges. It also offers 2 percent cash back on gas station and restaurant purchases and 1 percent cash back on other everyday purchases, with no limits on earning. The card has a zero-percent introductory interest rate for 12 months on purchases and balance transfers. After that, the rate ranges from 14.49 percent to 20.49 percent APR. There is a 26.24 percent cash advance APR, and a 29.99 percent default or penalty APR. The penalty APR kicks in if you miss a payment or if your payment is returned and could continue indefinitely. One of the benefits of this card is that there is a $0 annual fee. The card does, however, charge 5 percent for balance transfers and cash advances and 3 percent for foreign transactions. The card offers some great additional protections that your business will likely want to take advantage of. For example, it offers auto rental collision damage coverage, which protects you if your rental car is stolen or damaged when renting a car in the U.S. or abroad. The card also offers emergency travel assistance and roadside dispatch. The card protects your purchases by offering things like extended warranty protection of an extra year on warranties of three years or less. It provides cardholders with purchase protection of up to $10,000 per claim and $50,000 per account if your new purchase is damaged or stolen within 120 days of purchase. With generous rewards and no annual fee, the Chase Ink Business Cash card can be a good option as a cost-effective business card. If you prefer to fly with United, you might want to consider getting a card that Chase has partnered with United Airlines on. 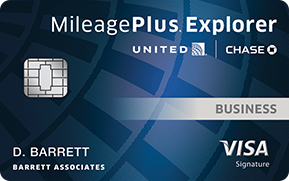 The United MileagePlus Explorer Business Card offers a great signup bonus for people who travel a lot for business. You can earn 50,000 bonus miles if you spend $3,000 on purchases within the first three months of opening your Chase credit card account. The card also allows you to earn two miles for every $1 spent on United travel, and at gas stations, restaurants, and office supply stores. You earn one mile for every $1 you spend on everything else. Although the card doesn’t have a zero-percent introductory interest rate, it does offer APRs between 17.24 percent and 24.24 percent when you sign up. The card has a 26.24 percent APR on cash advances and a 29.99 percent penalty rate for missed or returned payments. This penalty rate might continue indefinitely. The annual fee is waived the first year, then it’s $95 after that. There are also 5 percent fees for balance transfers and cash advances, but there are no foreign transaction fees. There are some great travel perks that come with the card, including priority boarding and employee cards at no extra cost. You also get your first checked bag free for yourself and one companion on your reservation, passes to the United Club at airports, premier upgrades, upgrades at certain hotels such as complimentary breakfast, and invitations to special culinary and sports events. In addition, if you spend $25,000 on your card in a calendar year, you can get 10,000 bonus miles. You’ll have a whole host of travel and purchase protection coverage, such as auto collision damage coverage, baggage delay insurance, lost luggage reimbursement, trip delay reimbursement, and trip cancellation and interruption insurance. In addition, you can have access to a Visa concierge, and purchase protection of up to $10,000 per claim and $50,000 per account if your new purchase is damaged or stolen within 120 days. You can also take advantage of price protection, with which you can get reimbursed the difference if something you purchased is advertised online or in print for a lower price within 90 days of purchasing. Ultimately, this card might be a good fit for a business traveler who prefers to fly United Airlines.